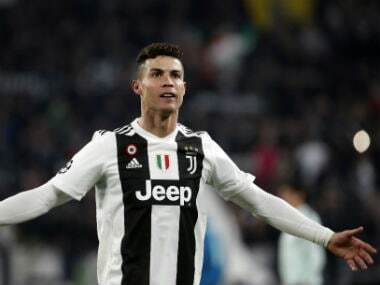 Berlin: Borussia Dortmund will aim to maintain their unbeaten record at home to Real Madrid in the Champions League on Tuesday and spoil Cristiano Ronaldo's 150th European appearance. Dortmund and title holders Real meet in the group stage for the second year running. The teams drew both games 2-2 last season as the Germans topped the section before bowing out in the last eight while Real went on to win a record 12th title. Dortmund have won three and drawn three of their meetings at Signal Iduna Park, including their dazzling 4-1 first-leg win in the 2013 Champions League semi-final when Robert Lewandowski scored all four goals. "There were always great games against Real Madrid," said Dortmund's Germany midfielder Mario Goetze on Monday. "With Madrid having won the last two Champions League seasons, we of course have a lot of respect, but we are also in very good shape and full of confidence." Defending champions Real opened their group campaign with a 3-0 win at home to APOEL while Dortmund suffered a 3-1 defeat at Tottenham Hotspur a fortnight ago. 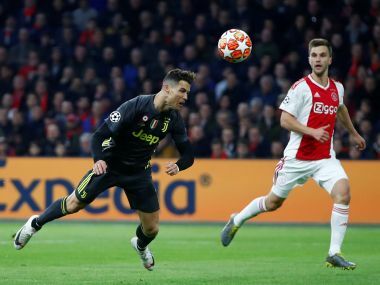 The Germans' main task may be containing four-time Ballon d'Or winner Ronaldo, who has scored 110 goals in European competition but failed to find the net in his last two league outings. The Portuguese superstar is among the final three nominees for the Best FIFA Men's Player 2017 award and the winner will be announced on October 23. "Ronaldo hasn't played much of late, but I expect him to be in top form against us," said Dortmund coach Peter Bosz. "I don't believe that Real will be any worse off just because they have a few injured players." Real boss Zinedine Zidane is without a left-back as Marcelo (hamstring) and Theo Hernandez (shoulder) are both out, so Nacho is set to fill in. Karim Benzema is missing with a hamstring injury, but Luka Modric and Gareth Bale were both rested at the weekend and Toni Kroos is expected to return after injury. Dortmund flexed their muscles ahead of the heavyweight showdown with a 6-1 home drubbing of Borussia Moenchengladbach in the German league on Saturday as Pierre-Emerick Aubameyang netted a hat-trick. The Gabon striker has now scored eight goals in six league games. 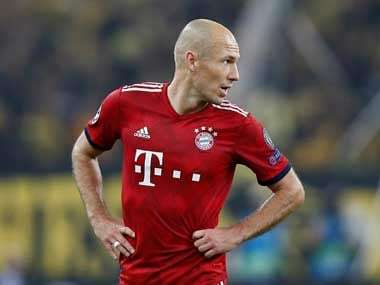 He has forged a partnership -- dubbed 'Philameyang' by the German media -- with left-winger Maximilian Philipp, who has scored four goals in his last three games. Dortmund's big win over Gladbach came with forwards Marco Reus, Andre Schuerrle and Raphael Guerreiro injured while new signing Andriy Yarmolenko, Nuri Sahin and Gonzalo Castro were not used. While Dortmund shone in attack, they struggled at the back against Gladbach, who had half a dozen clear chances to score which went begging. Real are unlikely to be as forgiving, but they have struggled to create chances of late, which worries their French coach. Madrid's run of scoring in 73 successive matches in all competitions ended when they lost 1-0 at home to Real Betis last Wednesday. But they rebounded with a 2-1 win at Alaves on Saturday as Dani Ceballos scored his first goals for Madrid on his first competitive start. "We cannot be pleased with the amount of opportunities we have created lately, but I believe in my players," said Zidane. "I hope our strikers will score again, but I have always maintained that it is the most important thing to create chances." Real traditionally have a terrible record in Germany with 19 defeats, seven draws and only five wins. However, four of those victories have come in their last seven visits and they enjoyed a 2-1 win at Bayern Munich in last season's quarter-finals.